A confidential report to the United Nations Security Council accuses Rwanda of recruiting and training Burundian refugees with the goal of ousting Burundian President Pierre Nkurunziza. 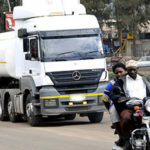 The report by experts who monitor sanctions on Democratic Republic of Congo contained the strongest testimony yet that Rwanda is meddling in Burundi affairs and comes amid fears that worsening political violence could escalate into mass atrocities. The Burundian combatants, which included six children, told the UN experts they were trained in military tactics, use of assault rifles and machine guns, grenades, anti-personnel and anti-tank mines, mortars and rocket-propelled grenades. 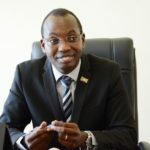 The UN report did not say why the Burundian fighters had crossed into Congo but Russia’s Deputy UN Ambassador Petr Iliichev said last month that there had been reports of Burundian rebels trying to recruit more fighters in Congo. 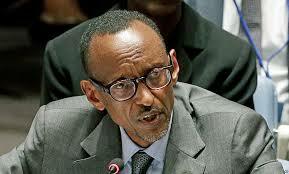 Burundi accused Rwanda in December of supporting a rebel group that was recruiting Burundian refugees on Rwandan soil, but Rwandan President Paul Kagame dismissed the allegations as ‘childish’. 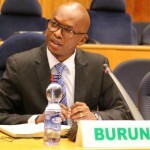 The accusations by Burundi were prompted by the charity Refugees International, which said in a December report it was ‘deeply concerned’ by claims of Burundian refugees in Rwanda that they were being recruited by ‘non-state armed groups’. The UN Security Council traveled to Burundi in late January, its second visit to the country in less than 10 months and the UN has estimated the death toll in Burundi at 439 people but has said it could be higher. More than 240,000 people have fled abroad and the country’s economy is in crisis. US Ambassador to the United Nations Samantha Power said during the visit to Burundi that the 15-member council had expressed concern about the allegations of external interference.